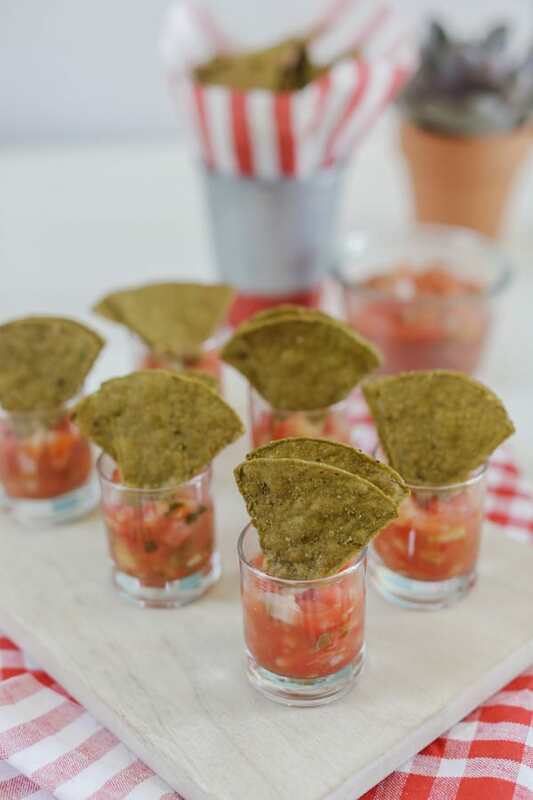 A few weeks ago I teamed up with Evite and Food Should Taste Good to create and style some fun party appetizers to go with a few of their delicious chips! 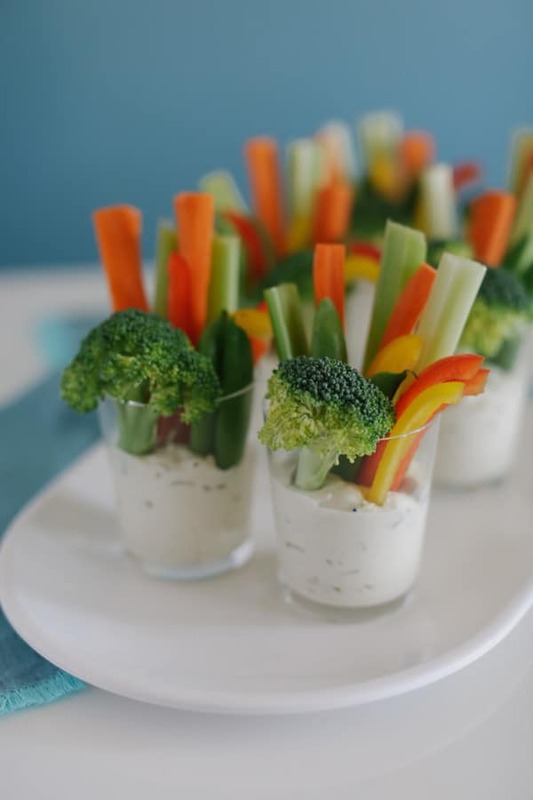 These are easy and charming appetizer ideas that you can recreate for your next party. The recipes are pretty darn tasty too. Click below or on each photo for the recipe. Enjoy! 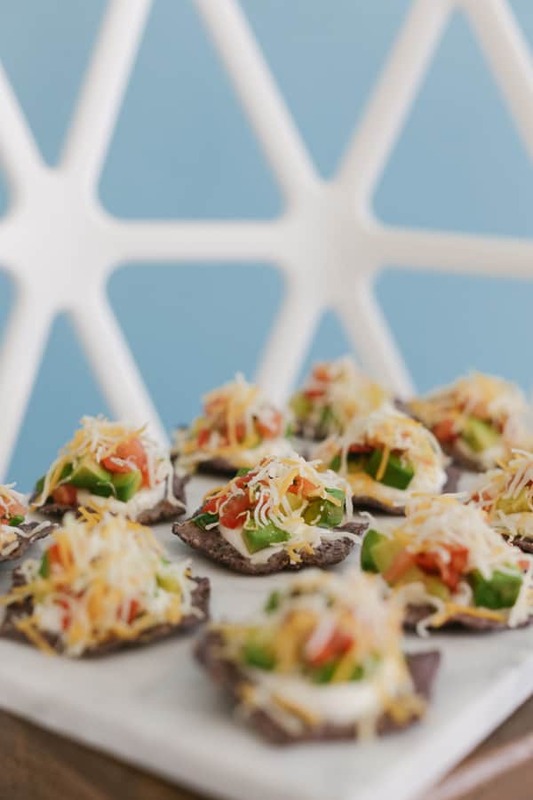 Nacho Bites with Blue Tortilla chips, sour cream, guacamole, salsa and cheese! 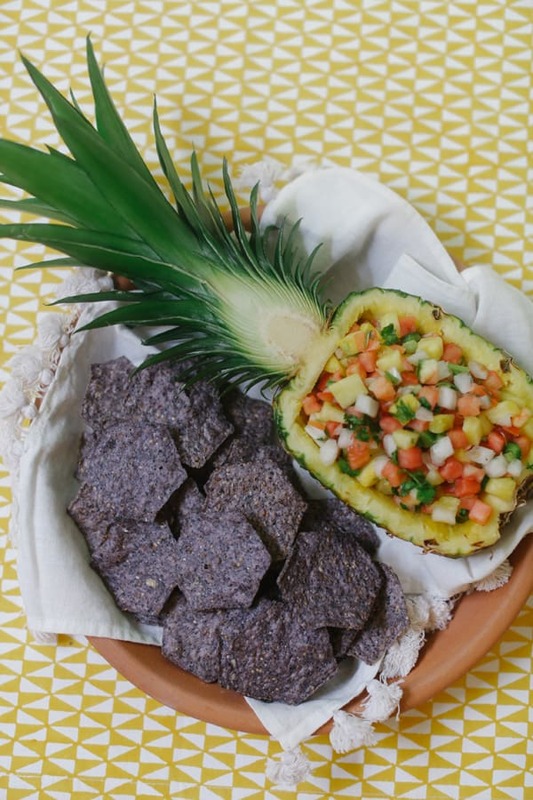 DIY pineapple boat with pineapple salsa and Blue Tortilla chips. 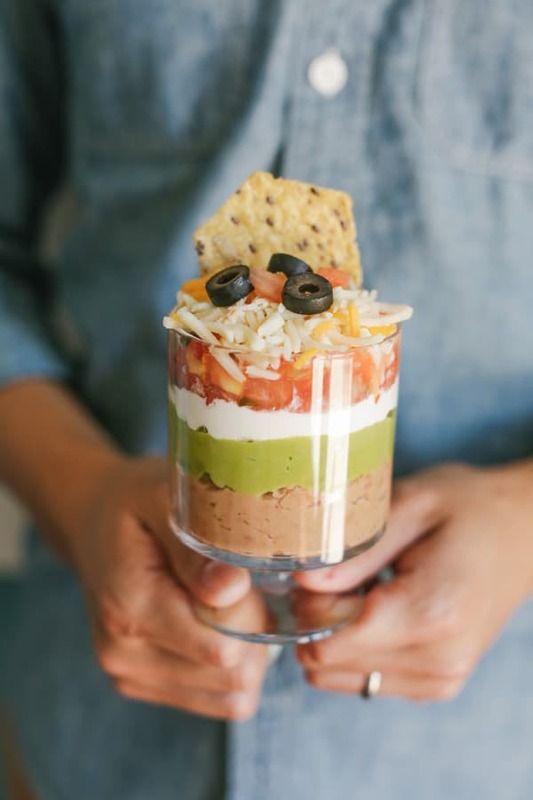 Layer salsa, guacamole, sour cream and beans in small individual trifle dishes and top with cheese and olives. Adorable and delicious! 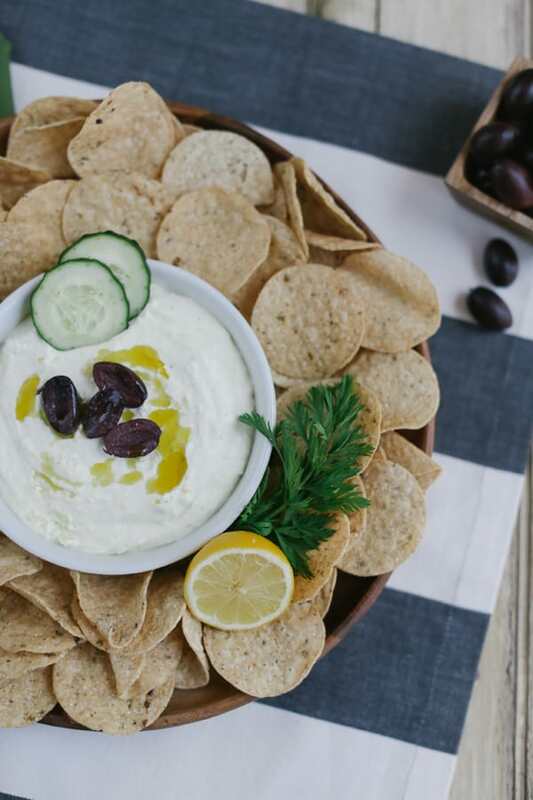 Cucumber Feta dip with Olive Chips! Individual Guacamole Chips and salsa snackers. 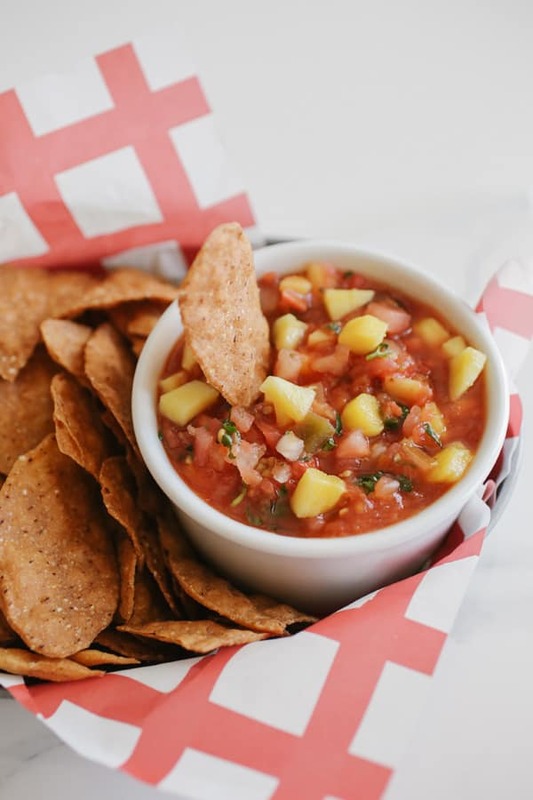 Mango salsa recipe with the BEST Sweet Potato Chips! 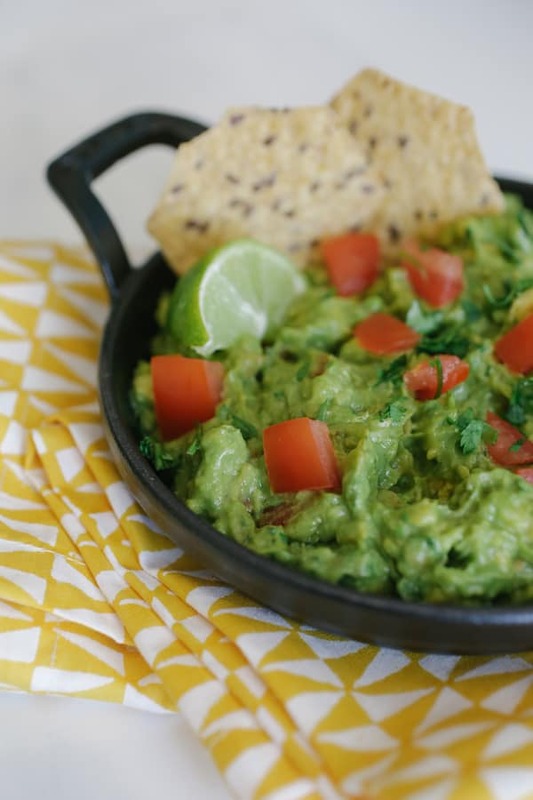 My favorite guacamole dip recipe. It’s spicy with a lot of garlic and lime juice! Seriously amazing gluten-free green-chili queso dip recipe with veggies. 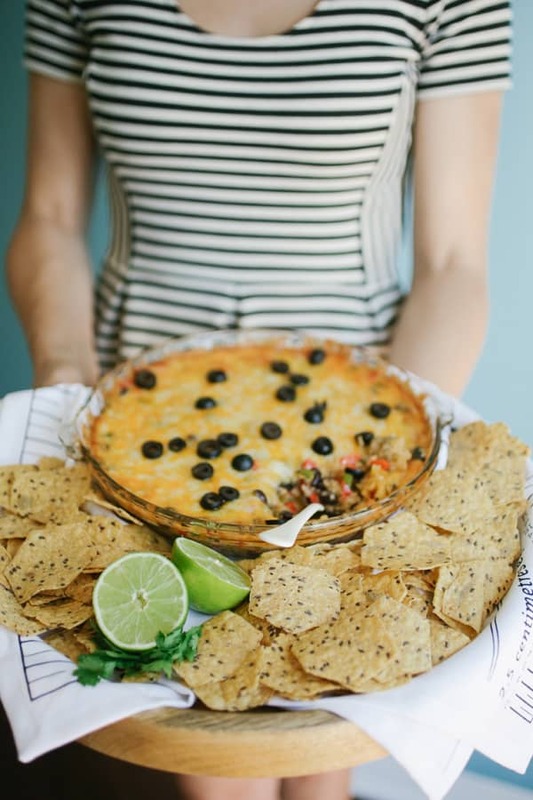 Delicious cheesy quinoa dip with Multigrain Chips. This one is hot and gooey, so serve it right out of the oven! 2 responses to 9 Charming Party Appetizers! I am looking forward to trying your recipes. Love the breakfast ones and they are different, which I like a lot. Cooking is an adventure and looking forward to this journey. I have a feeling some of these will land on our favorites list.